Okapi come from the rain forest in Central Africa. They are the only living relative of the giraffe, even though they have zebra like stripes. Like a giraffe they have long, dark, prehensile tongues. They have very acute hearing and are very wary of humans. 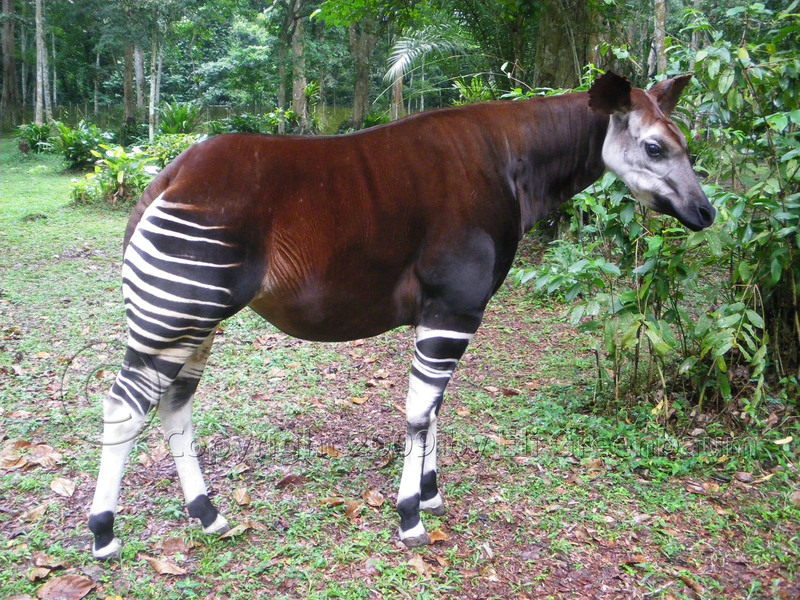 The species was not discovered by scientists until the 1900s because of the okapi’s ability to avoid humans. While not endangered, it is only believed that around 25,000 okapis currently live in the wild. 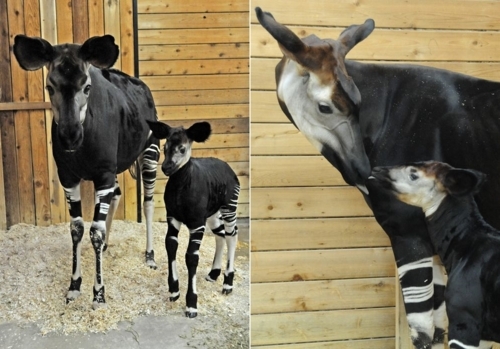 The San Diego Zoo has more information in their article about the Okapi. Okapi’s are the most beautiful animals in the world. To think that they possess all the chemical balances of all forms of life from which they are created is just remarkable. They truly capture the mysteries of nature and how amazing the world really is. I’m tearing up just typing about it. OKAPI’S FOR LIFE! !